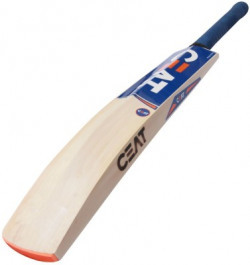 The Ceat Poplar Willow Cricket Bat has been designed to give you power and speed. This cricket bat has been built with a Poplar Willow blade that has thick edges but delivers amazing pick up. With the Sarawak cane handle you can control the bat skillfully and with precision. This top-quality cricket bat is ideal for senior players with intermediate skills.